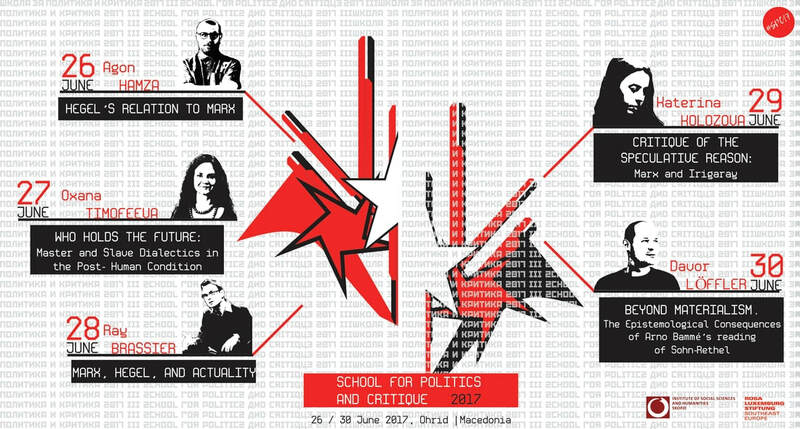 "School for Politics and Critique 2017" is organized in the format of a summer school for activists and theorists of the Left from the region of Southeastern Europe. It will address current political issues in the region, looking at possible regional strategies to respond to the changing European context, by way of relying in Marxist and feminist thought. The School aims to explore current streams in political though relevant to rethinking the political action of the left and other progressive groups in a time that increasingly provides more and more reactionary conditions within the system and the society. By bringing together activists and scholars, the school will aim to open a substantial discussion on the course that left-wing political groups have followed, their answer to the increasing right wing politics and relation to populism. This is why we expect a direct involvement and contribution by the participants of the school. This year, the School will offer a five (5) full-day program of keynote lectures accompanied by panels and afternoon workshops. - The rise of populism and "illiberal democracy" in Europe. The keynote speakers at SPC2017 are Ray Brassier, Oxana Timofeeva, Agon Hamza, Katerina Kolozova and Davor Löffler. The two dominant and intersecting themes in the keynote contributions of Brassier, Timofeeva and Hamza will be the work of Marx and Hegel, whereas Kolozova will focus on Marx and feminist materialism including Braidotti and Irigaray. Katerina Kolozova - "Critique of the Speculative Reason: Marx and Irigaray"
Ray Brassier - "Pricing Time: Remarks on Malik’s Ontology of Finance"